Review: Russian label Udacha are purveyors of dreamy and mysterious deep house. This new one by Gamayun is further testament to their current modus operandi. On the first side we have "Roundelay" with its warped and ethereal tropical vibe, assisting you in drifting away from it all just nicely. Next the soothing piano line of "All Tomorrows" backed by a wacky bassline and restrained rhythm section is equally as mesmerising. On the flip we have "Outlands" with its swirling, all consuming pads backed by sultry Latin style rhythms and that killer synth solo. Lastly there's "Oracle" with its sweet, late nineties deep house vibes that fans of Agnes and Quarion would be right into. Review: Having already made a strong connection with the ever-excellent Udacha label, Russian duo Gamayun now take their talents to Hesperian Sound Division to unfurl more of their delicate, richly musical creations. "Golden Ratio" leads in on stunning jazz piano refrains, edging threads of percussion into the mix with poise that sets Gamayun apart from the rest of the crowd. "Ascension" takes things in a more cosmic direction, all swooping and swooning synth lines beamed in from a distant star. "Untitled" has a more lazy, blues-minded attitude, while "Uvolnenie" edges a little more techno influence into the mix, but truly this is space-age music played by musicians with genuine chops. Laak - "So Much Inside"
Review: On the second series of Silent Movie Sounds, Rough House Rosie presents selection of 4 various deep house tracks. 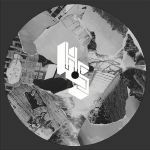 Together with Pjotr, who the public knows from his releases on Anton Zap's label Ethereal Sound and his second EP on Udacha, RHR 005 includes addictive tracks from a man behind Udacha record label - A5 and British producer Laak from Austere Records. Gamayun, Russian artist from city of Smolensk has his debut with the track Slum Odyssey.